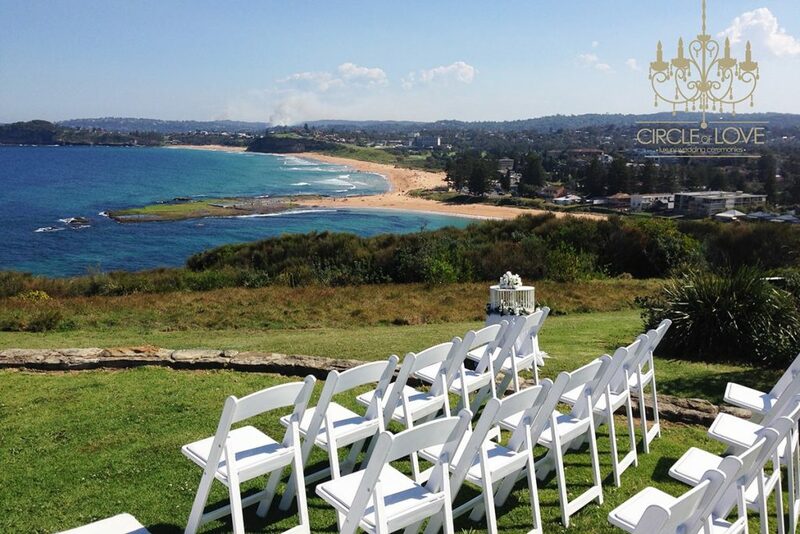 The Northern Beaches offers an abundance of incredible wedding ceremony locations and reception venues. 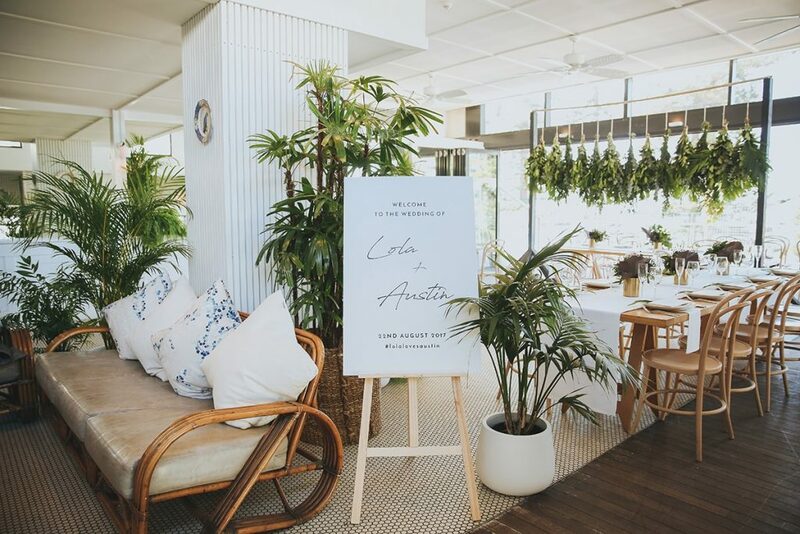 Whether you’re after ocean views or grounding greenery, total luxury, something more rustic or a blank canvas you can dress to your own personal taste, it really won’t be hard to find a venue which ticks all the boxes. 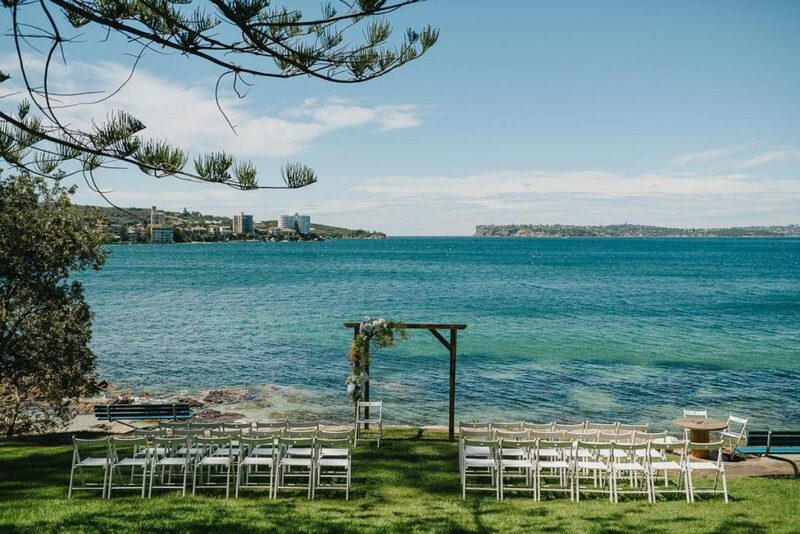 For all newly engaged couples, locking away a wedding ceremony location and reception venue will be a high priority on your checklist, so we have compiled some of our favourite locations and Northern Beaches Weddings & Events venues for your consideration. Yay, let’s plan a wedding! Orso boasts an abundance of natural light through clear floor-to-ceiling glass expanses and can cater for functions of up to 250 guests. With an absolute waterfront, it has its own beach, jetty and deck, and a resident family of photogenic pelicans can be seen paddling outside at most times. In keeping with its origins as a boatshed, we love that guests can arrive by boat and tie up at Orso’s private jetty (so fun!) or for a more traditional arrival utilize ample car parking on either side of Spit Road. 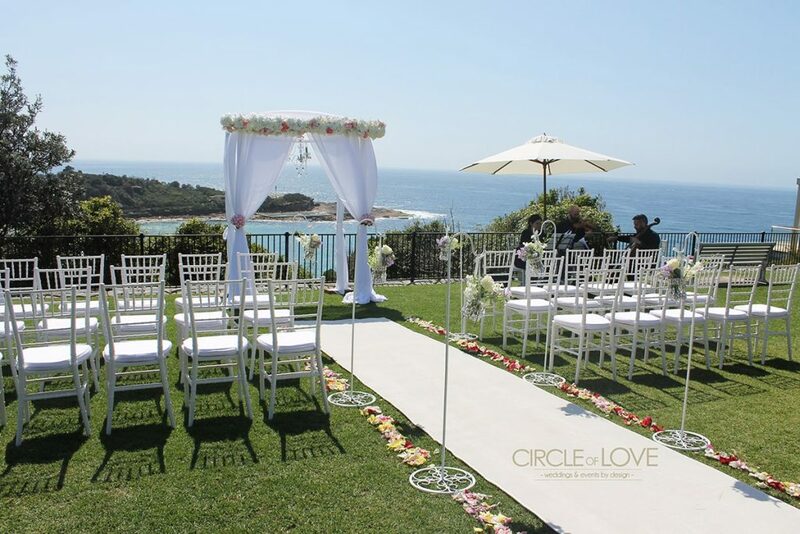 The perfect location for a relaxed beachside wedding ceremony. With views looking toward Manly Cove and North Head, Delwood offers a grassy slope with stairs leading down to the beach. Ideal for a more intimate wedding ceremony and sunset wedding photoshoots. 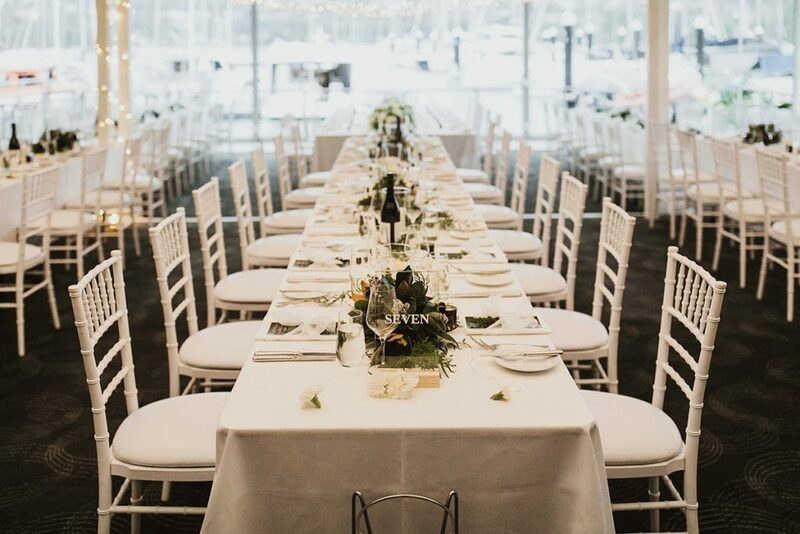 There are a number of great wedding reception venues close by such as Novotel Sydney Manly Pacific, Beachside Dojo and Manly Yacht Club. 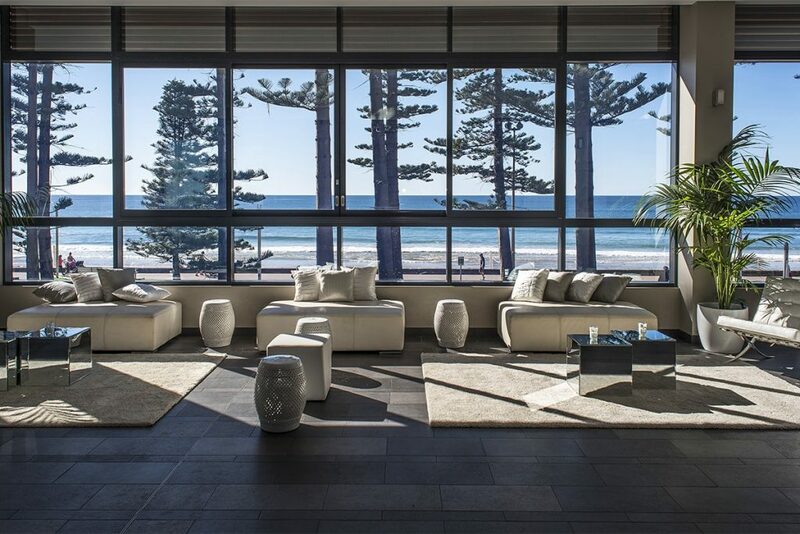 Smell the fresh salty air, hear the waves roll in and enjoy the breathtaking views of the world famous Manly Beach at Novotel Sydney Manly Pacific. Located just steps from the sand, this beachfront hotel is the perfect destination to create a memorable beach wedding. 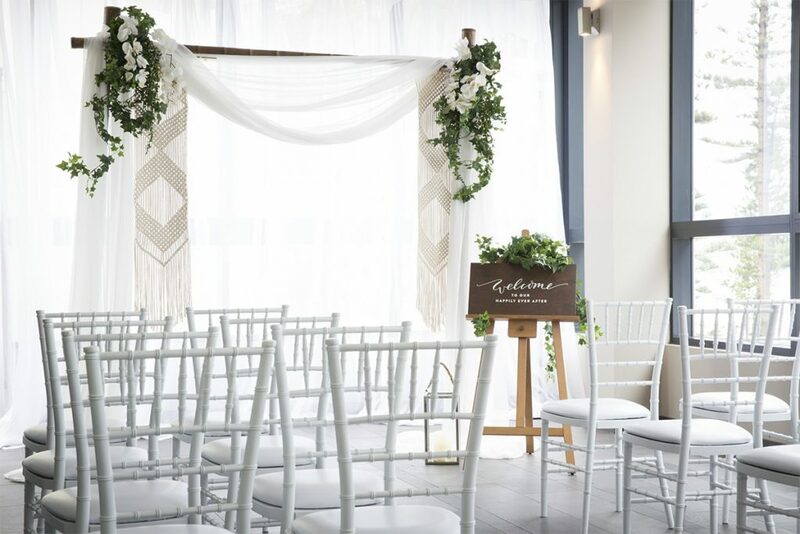 As one of the leading beachside wedding venues in Sydney, this contemporary hotel offers an array of romantic spaces for your ceremony and wedding reception. This venue has it all and really excels in making wedding planning a breeze. Plus…. 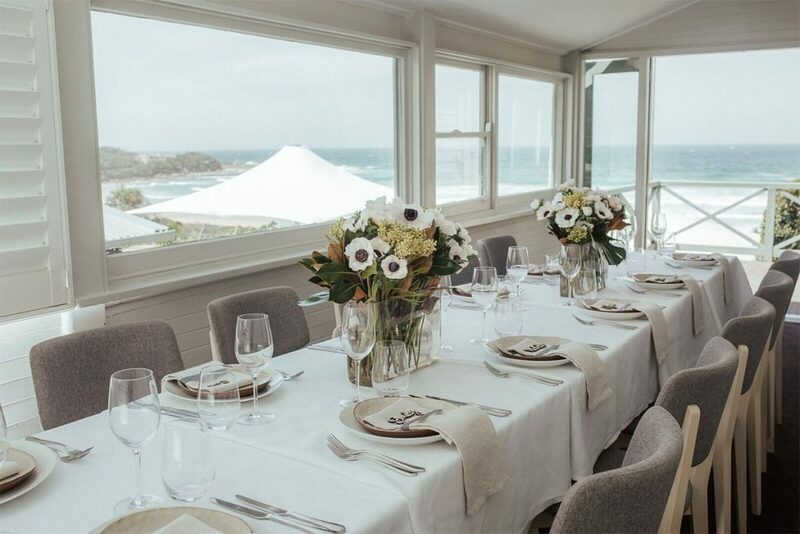 We love that they offer their newly-weds a complimentary ocean-view accommodation on the might of their wedding day – the perfect end to a perfect day! Beachside Dojo has been carefully curated to encapsulate a beachfront elegance with a relaxed Hamptons aesthetic. Floor to window bi-fold doors open out to your very own private split-level balcony overlooking Manly Beach. Finished with grey wash timber flooring, private bar and a large alfresco space. A wedding at Beachside Dojo is sure to having you cruising into a blissful married life. 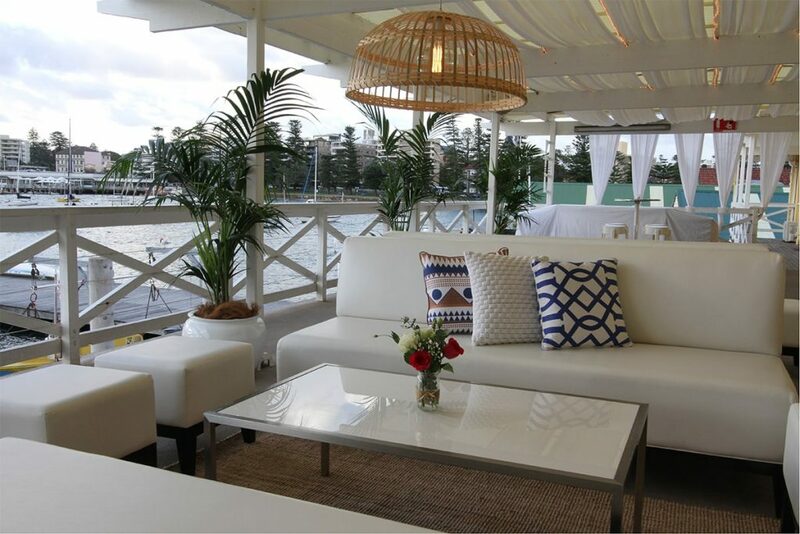 If you have a big imagination and are looking for a waterfront venue with lots of character and offers flexibility allowing you to completely control your decor, catering and budget then look no further than Manly Yacht Club! 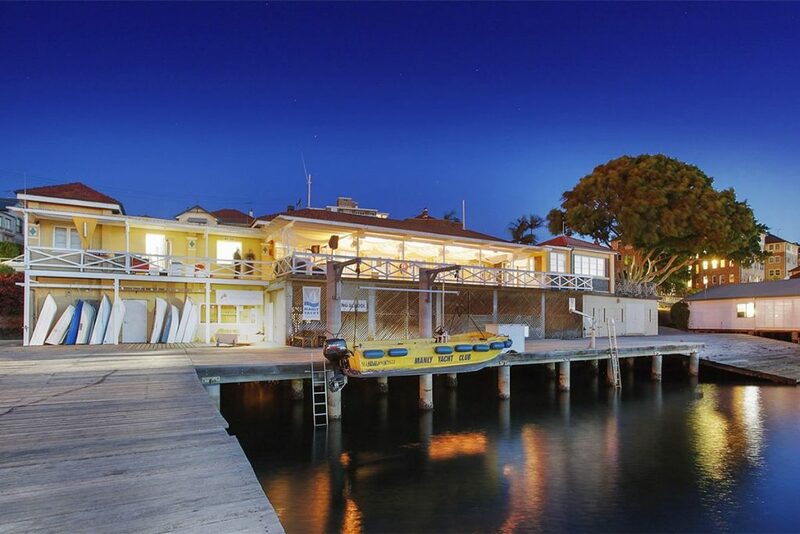 A beautiful, character filled heritage listed building on the eastern shore of Manly Cove, Manly Yacht Club is a great choice for couples counting their pennies. 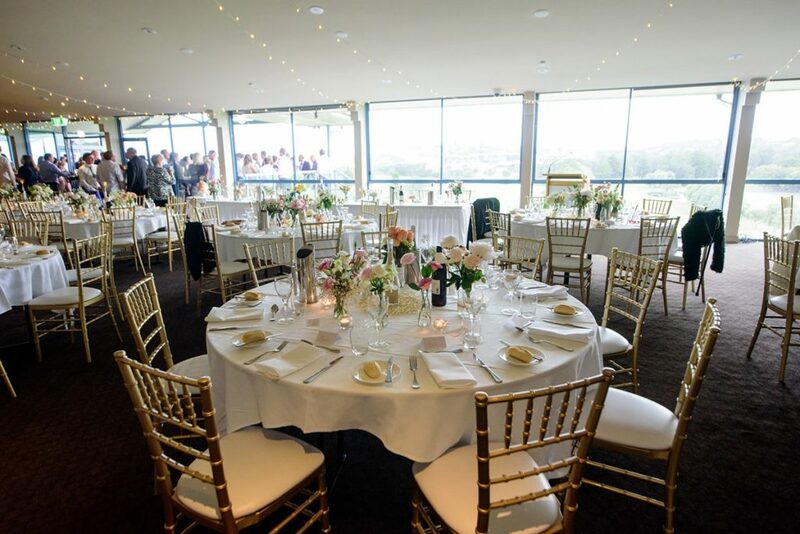 Still offering million dollar Sydney Harbour views from their generous sheltered balcony, this venue is a blank canvas limited only by your imagination where you have the flexibility to use your own caterers, cater yourself or they are happy to provide you with their favourite local caterers. Situated on the north side of Queenscliff Headland with beautiful views over Freshwater Beach. This park offers a lovely flat grass area great for your wedding ceremony and perhaps some post refreshments from one of our many amazing NBWE catering suppliers. Freshwater View Reserve is a short picturesque walk from either Queenscliff or Freshwater Beaches and a 10 minute drive from Manly. Host your wedding reception at Pilu at Freshwater to complete the day. This unique venue offers a timeless, elegant and sophisticated venue for wedding celebrations. 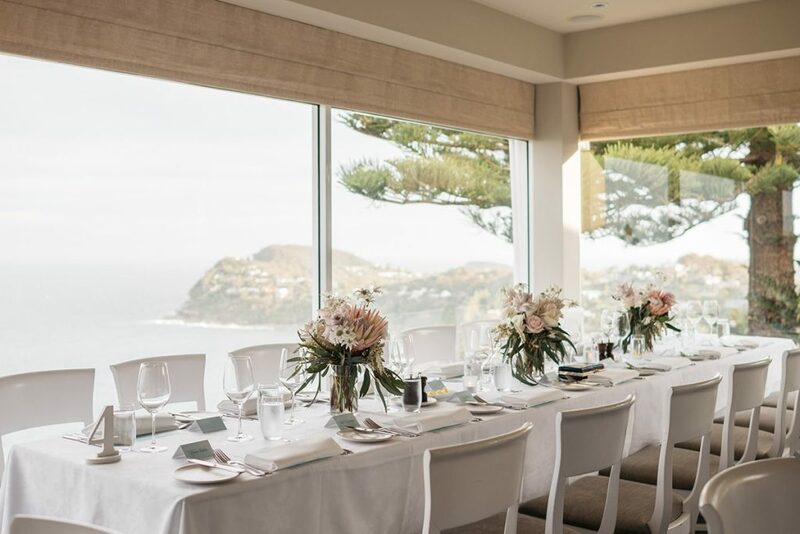 Pilu at Freshwater are renowned and awarded for their food, wine and service, and they offer uninterrupted, spectacular beach views from all aspects of the restaurant. 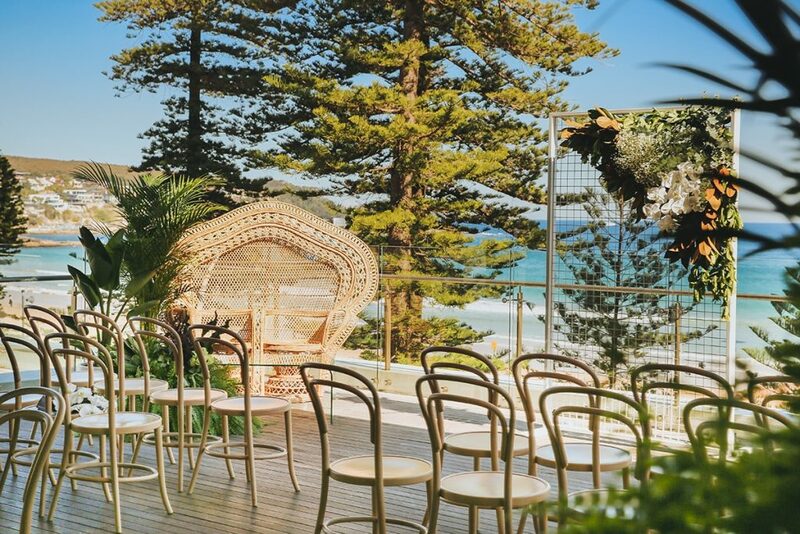 Freshwater Beach offers a magnificent backdrop for photos, and our terrace garden overlooking the beach is perfect for an intimate ceremony followed by pre-function drinks. The food philosophy at Pilu at Freshwater is simple – fresh, seasonal produce expertly crafted to create unique, delicious Italian-inspired dishes. 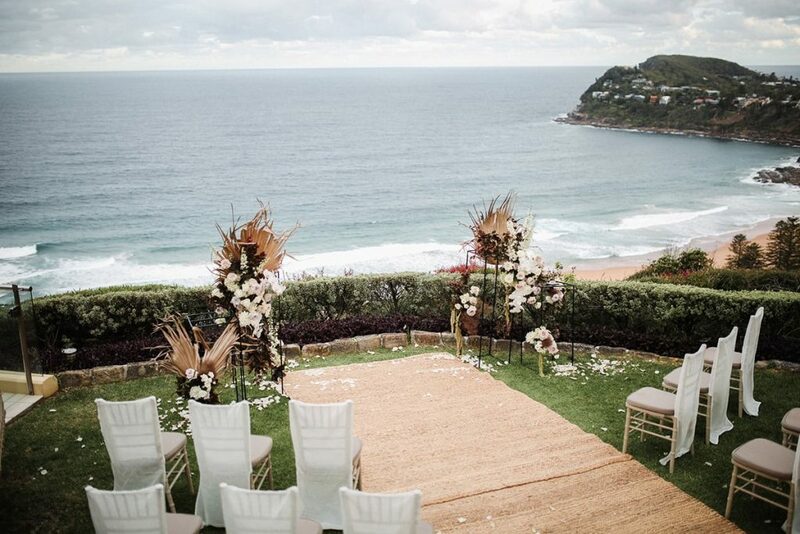 Mona Vale Headland provides a large sloped grassy area with spectacular views of Mona Vale Beach and beyond for a stunning ceremony. Celebrate your nuptials at Mona Vale Golf Club, Metro Mirage Newport or Royal Motor Yacht Club which are located nearby. 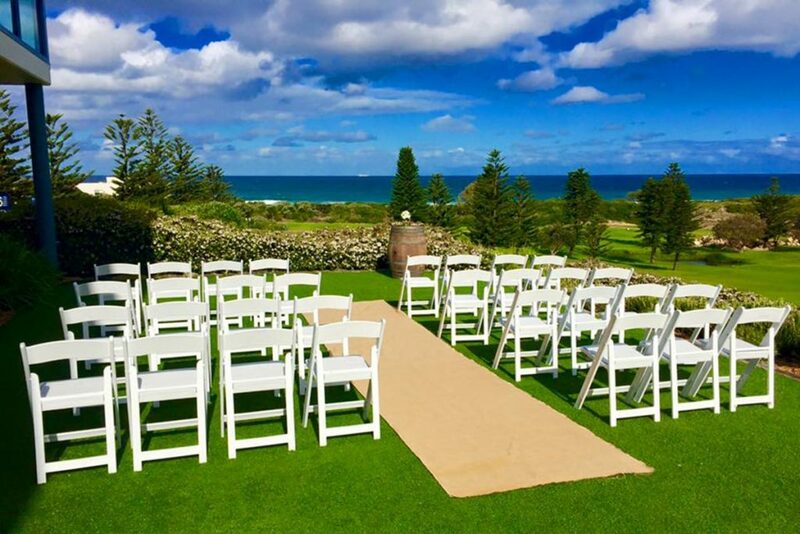 The stunning ocean views from Mona Vale Golf Club’s ceremony grounds and reception room provide the perfect backdrop for your ceremony, reception and photographs. Delivering exceptional service and innovative food that can be tailored to suit your individual needs. Under the watchful eye of the Executive Chef, our professional culinary team create the best in contemporary cuisine. From a fabulous cocktail party to a five course, sit down meal, our team can create the perfect menu. 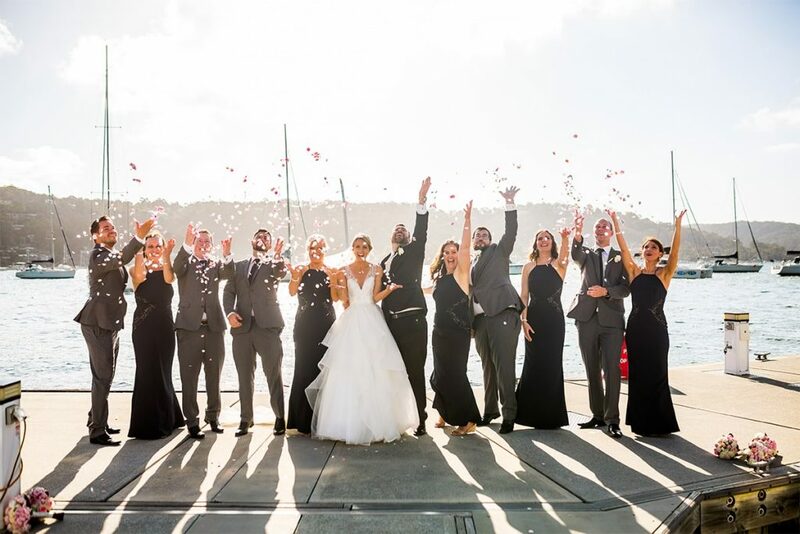 Located on the shores of spectacular Pittwater, this multi award-winning venue is a magical location for your indoor or outdoor wedding ceremony and reception. 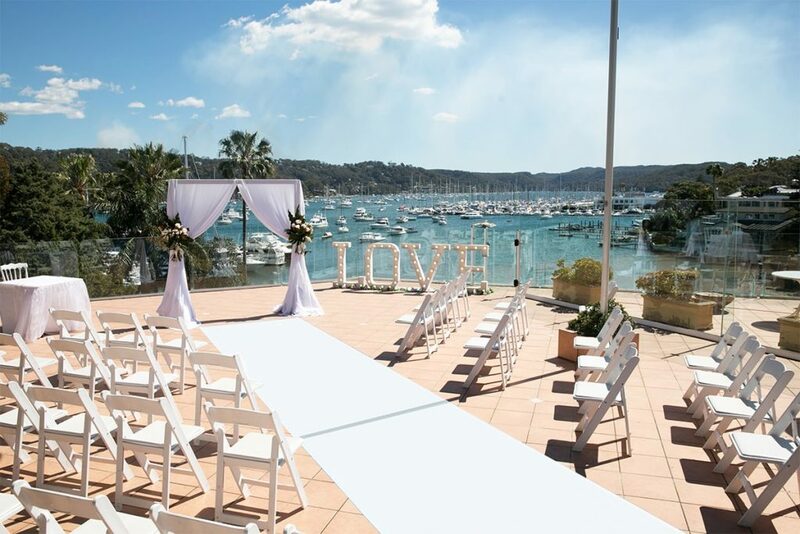 Metro Mirage Newport has two incredibly flexible function areas to choose from including a breathtaking waterfront terrace overlooking Pittwater for outdoor wedding ceremonies, and a panoramic reception room and a poolside alfresco wedding ceremony that is perfect for more intimate weddings. Plus, a really unique feature is that this venue has its very own private jetty and floating pontoon – perfect for some really bespoke and creative photo opportunities. 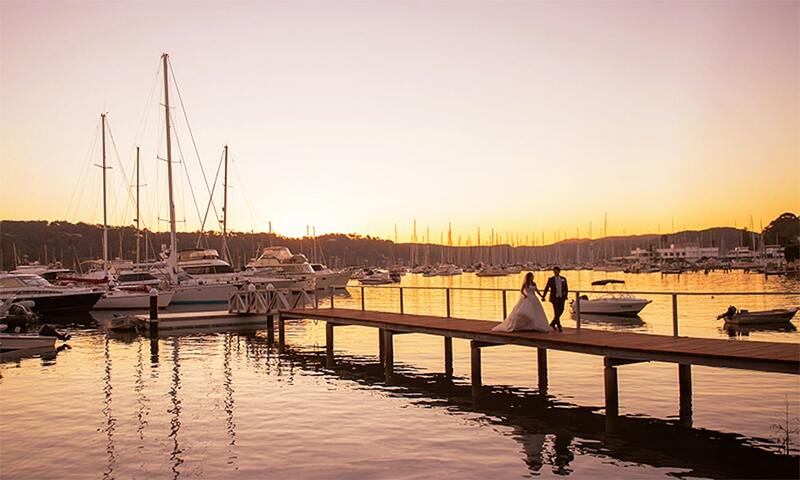 Fit for royalty… Royal Motor Yacht Club Broken Bay promises a stunning, carefree, professionally coordinated wedding. The wedding team at this exceptional venue are ready to work closely with couples to create a Wedding day which is personalised, flawless and memorable. 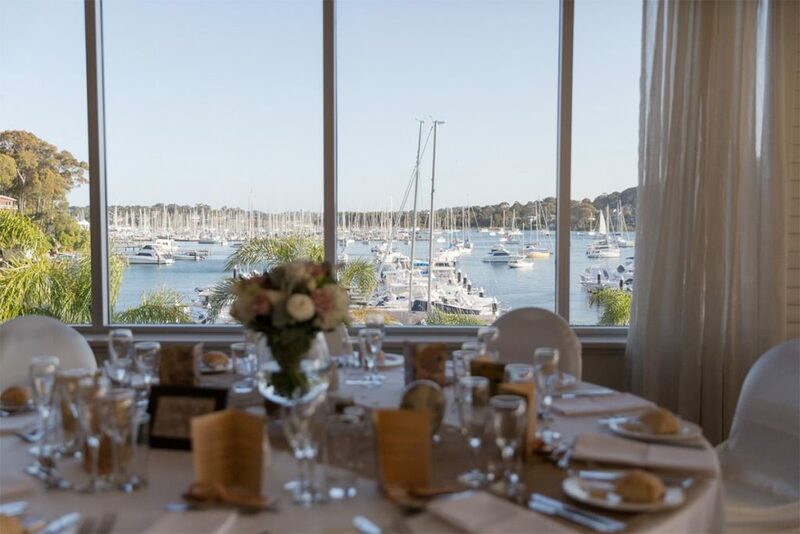 Priding themselves on their magnificent location, variety of ceremony and reception spaces, professional service and sophisticated menu it’s easy to see why so many couples choose the Royal Motor Yacht Club with their special seaside soirée. 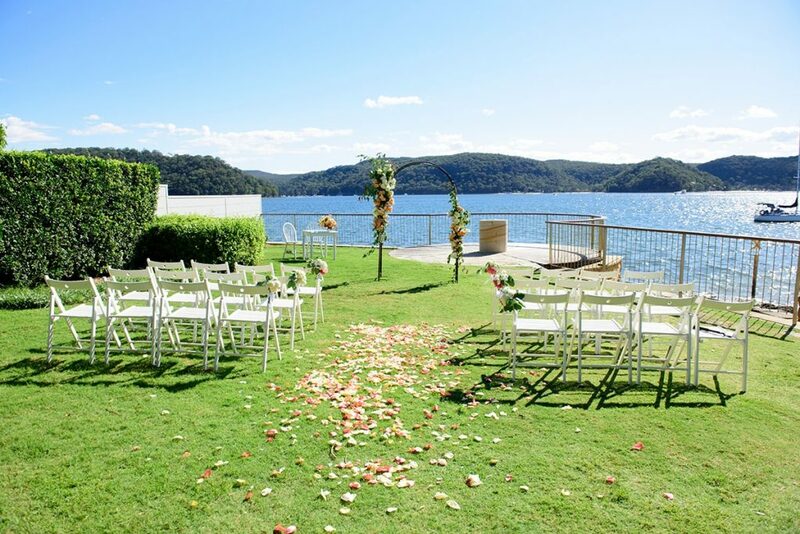 Further north, Lucinda Park provides a beautiful backdrop for weddings with endless water and peaceful bush views of Mackerel Beach and Ku-ring-gai National Park. 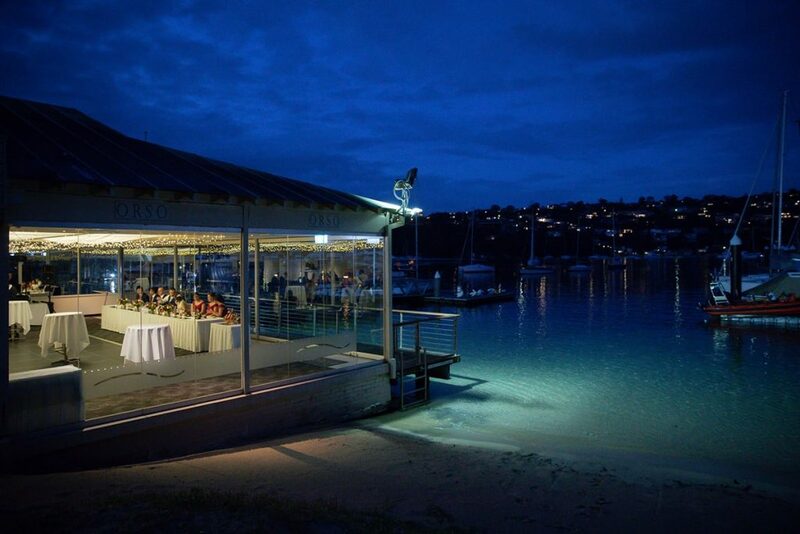 This gem is on the Pittwater side of Palm Beach with lots of lovely restaurants for your reception, including Metro Mirage Newport, Royal Motor Yacht Club or Jonah’s at Whale Beach. The whole package…perched high above Whale Beach and minutes to Palm Beach. Jonah’s offers a unique location, breathtaking views, first-class service and luxuriously appointed furnishings that will leave you & your guests with a truly memorable experience and if we can say, one to be enviable of…The spectacular cliff top garden is the perfect location for your ceremony, pre-reception drinks & canapés, photo shoot or simply somewhere to relax & enjoy the amazing views. 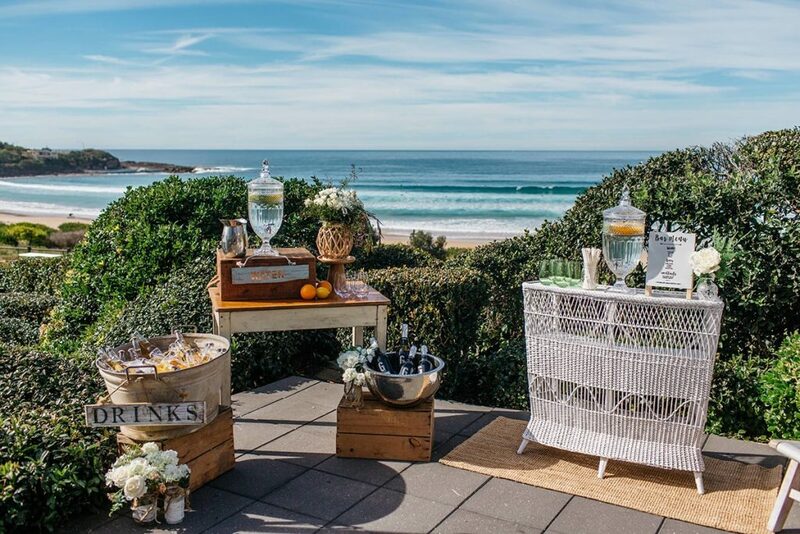 And, once you have fallen in love with and booked your perfect ceremony location and reception venue, visit our directory for highly qualified Northern Beaches Weddings and Events suppliers, from stationary to styling, everything you need to plan your wedding in the one place.